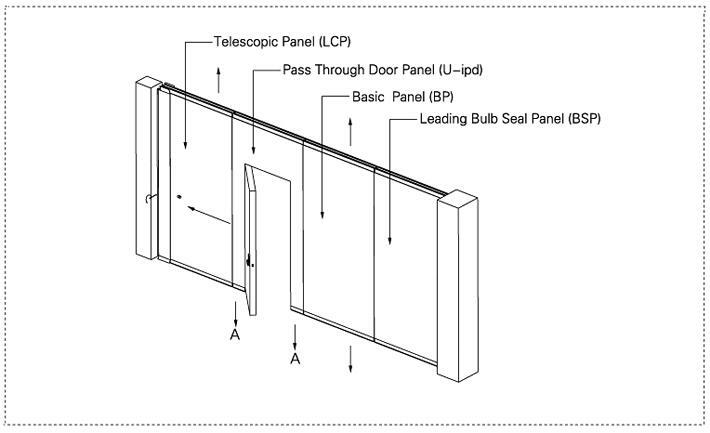 ■ 65mm thickness panel ,Max height up to 4500mm. 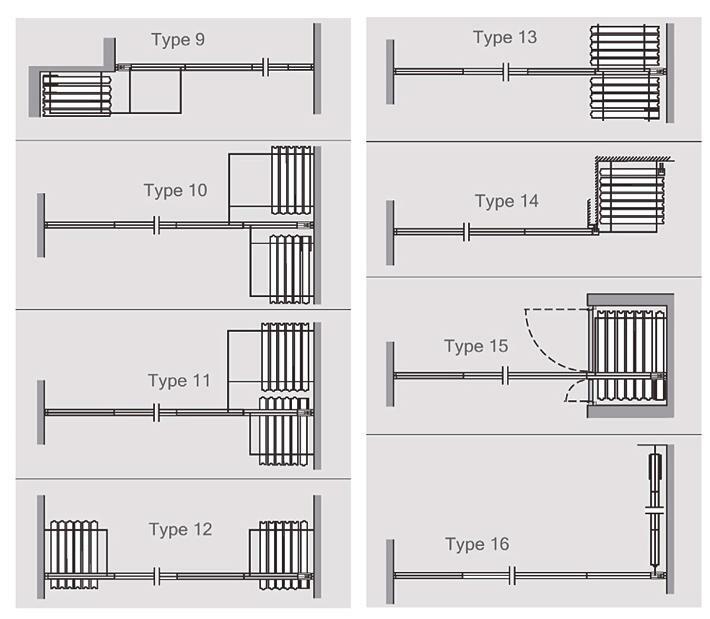 ■ Sound insulation coefficien :STC 32db to 45db, ASTM standard of acoustic tested in HongKong. 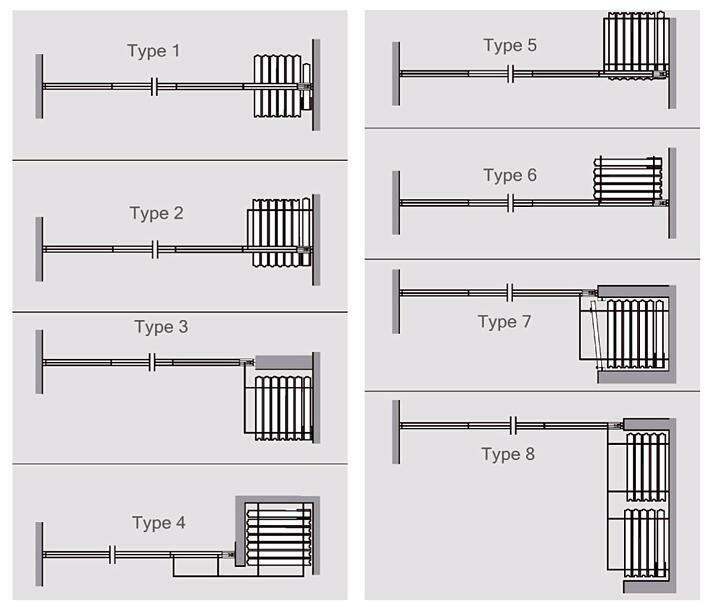 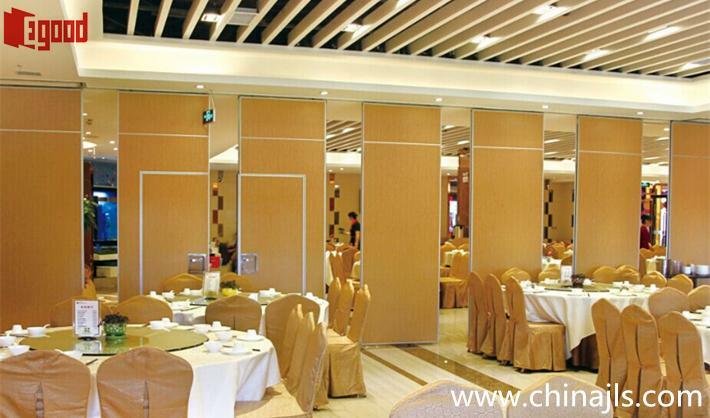 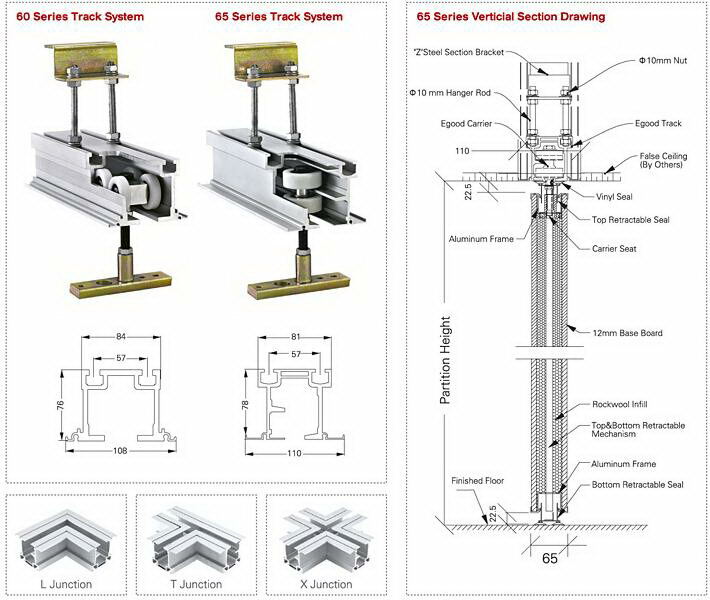 Egood Type 65 Movable wall partition is made of high quality anodized aluminum frame with environmentally composite materials.the panels move on a ceiling track with no requirement of floor guides or rails.,the panel has a standard thickness of 65mm and a width up to 1219mm.Maximum height can reach 4500mm tall. 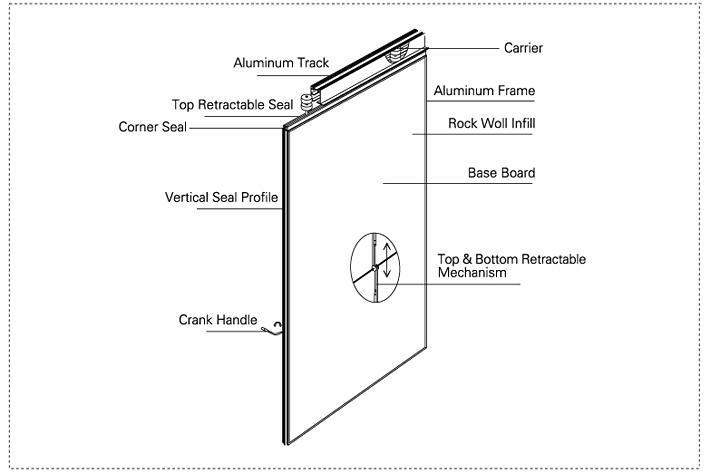 The movable partitions consist of a series of concave/convex profile interlocking flat panels and the fast set retractable top and bottom seals ,its provide excellent acoustic insulation property of maximum STC-45 in laboratory setting.Its high performance per dollar value and the easiest in-field operation makes it very suitable for restaurant,schools,office,religion,hospitals,shopping arcades and many other indoor applications product.